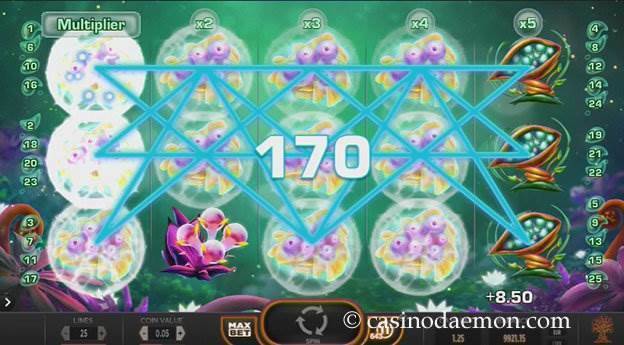 The online slot game Fruitoids was developed by Yggdrasil Gaming and has a theme which looks like space berries and other fruit. The symbols look very interesting and the game is accompanied by pleasant outer worldly music and sound effects. Overall, the presentation of the game is very nice, but it is the special re-spin feature and the multipliers that are really interesting. The variance of the game is medium to high, and you should regularly collect smaller amounts and sometimes a larger amount of money. The theoretical return to player is 96.7%, which is relatively generous for a game from Yggdrasil. You can also play Fruitoids mobile on the go. Supported devices are iPhones, iPads and Android smartphones and tablet computer. The game is optimised for touch screen play. 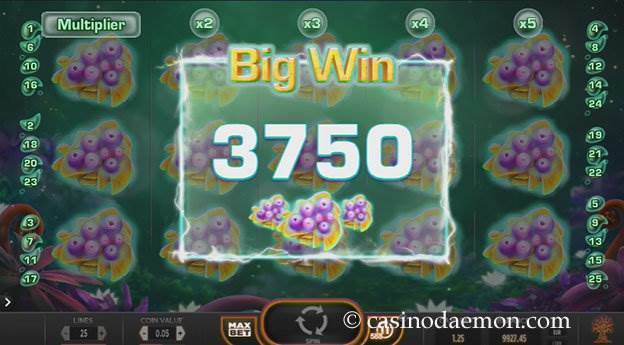 You can play the fantastic slot Fruitoids for free here, or if you feel lucky you can play it for real money at one of the online casinos mentioned on this page. The game does not have any special symbols, bonus rounds or free spins, but it has a very interesting re-spin feature that can make existing winning combinations a lot better. Every time you get a winning combination, the winning symbols will be frozen on the reels and every other reel spins again. This is similar to the principle of the game Jack Hammer from Netent. Every time a new winning symbol appears it will be held, and the reels will continue spinning until no further winning symbols appear. 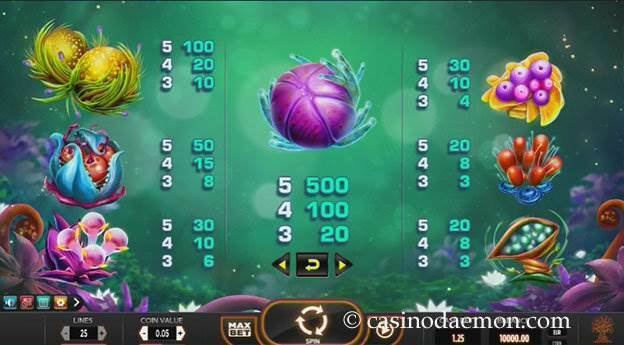 If it happens that in a game round with frozen symbols another winning combination of other symbols appears, you will be paid out the winnings of the new combination immediately, and the reels will spin again with the frozen symbols in place. You can also get a multiplier of up to x5, depending how many reels are filled with the same symbol. With a bit of luck you can win up to 62,500 coins in a single spin. The maximum line win is 500 coins. 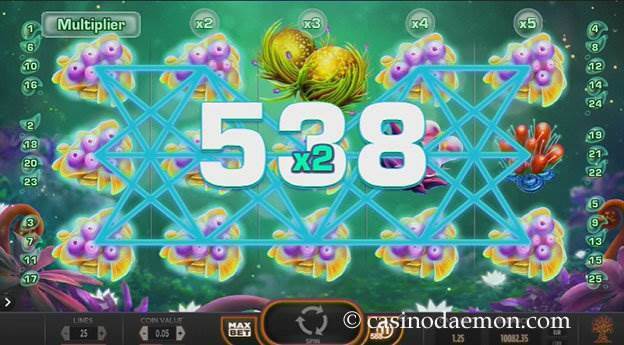 The Fruitoids slot from Yggdrasil Gaming has 5 reels and 25 fixed pay-lines. You can select coin values of between 0.00032 and 2 €/£/$ which means that the minimum stake per round is 0.08 €/£/$ and you can raise it up to a maximum of 50 €/£/$. You can also select different extra setting, such as automatic play, game speed and stopping options.